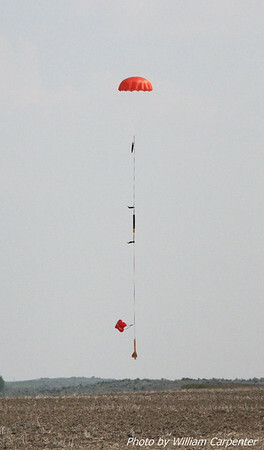 My photos from Sunday at the Washington Aerospace Club's 2011 Fire in the Sky event. 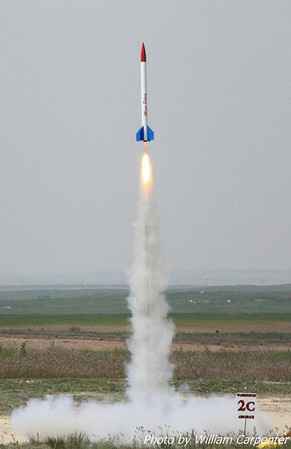 Dan Whitemarsh's Darkstar lifts off on an I600. 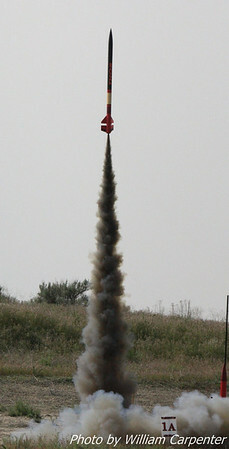 An Art Applewhite saucer on a smokeless motor. 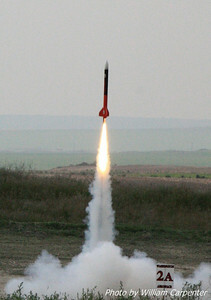 A rocket named "Mad Dash" on a G80 Blue Thunder. 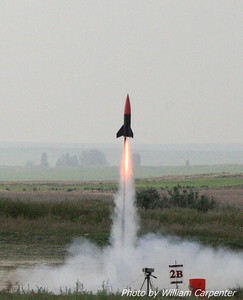 Tim Doll's BOMARC on an H180. 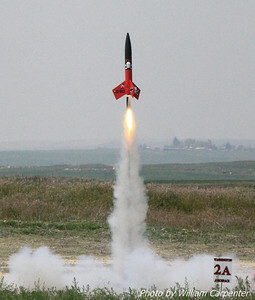 Mark Lyons' upscaled Der Red Max. 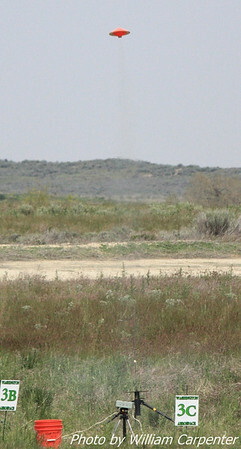 The FITS launch site as viewed from the away cell, 1/2 mile from camp. 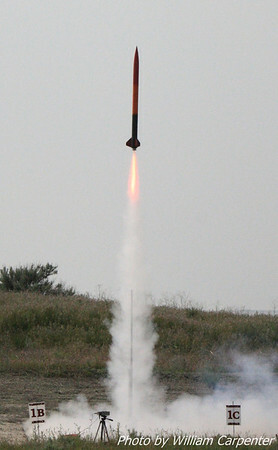 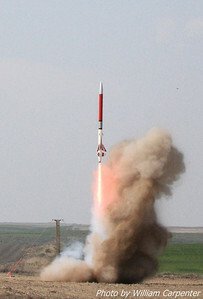 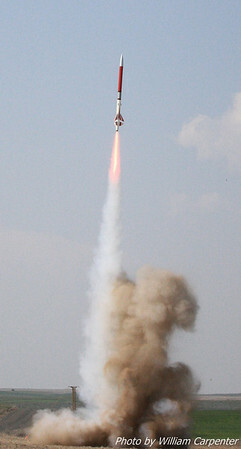 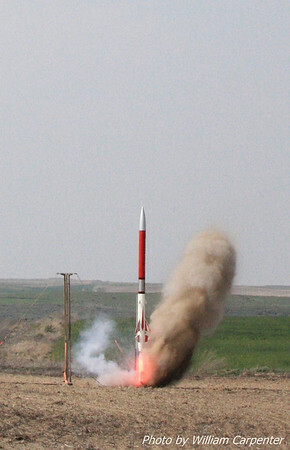 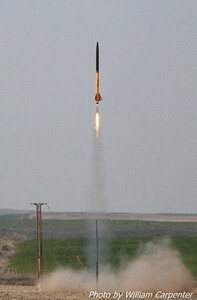 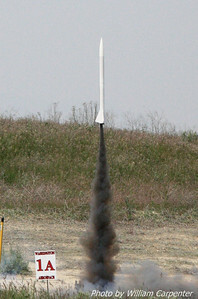 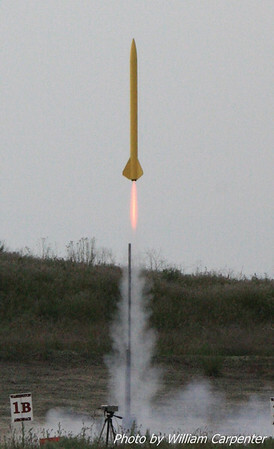 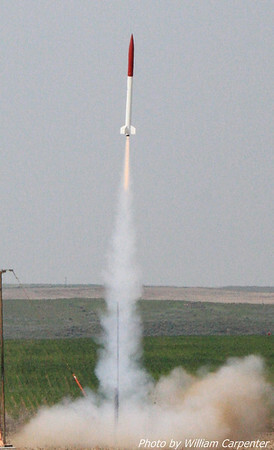 Ken Tsai's rocket lifting off on an L820 Skidmark. 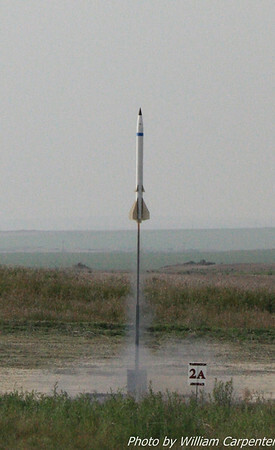 Ken's rocket recovered right next to the launch controller. 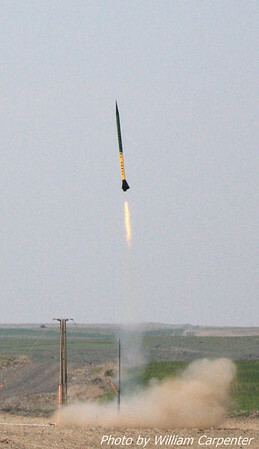 Brad Wright's "Jamaica Me Crazy" on a K1999 Warp 9 motor. 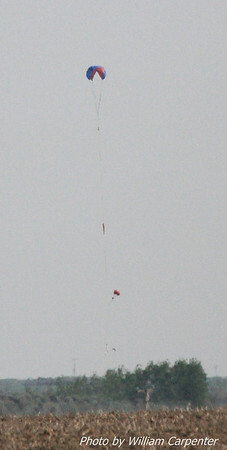 Sucessful recovery of the Aerraux. 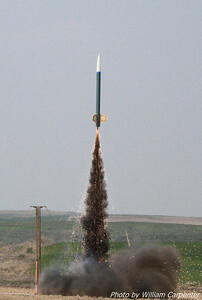 Bryan Whitemarsh's Level Three project, an 8" diameter, 15' tall, 120lb upscale of a Binder Design Velociraptor, lifting off on a CTI N4100 Red Lightning. 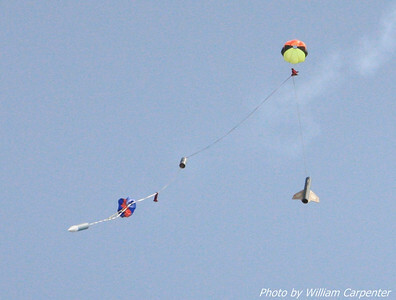 After a flight to over 12,000', Velociraptor Rex recovered safely for a successful L3. 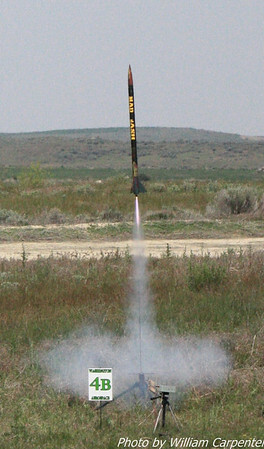 Carl Hamilton's "Tico" on a J motor.